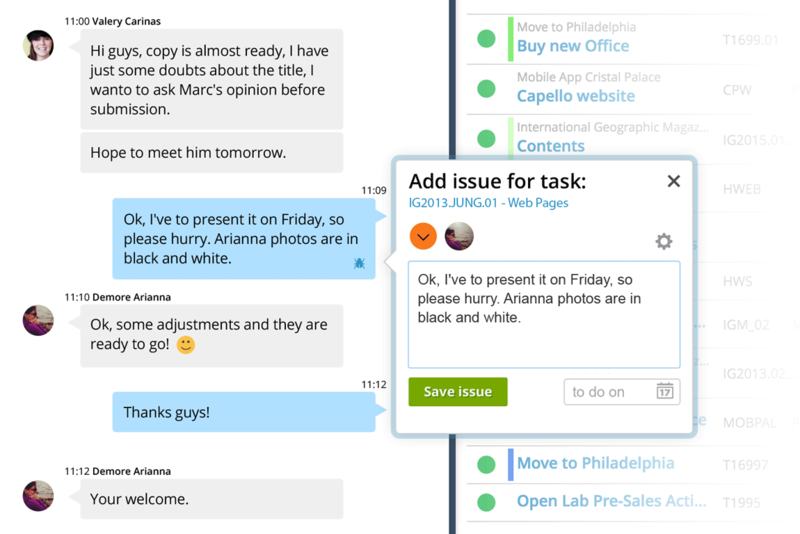 Replace your daily crush of email with chat messages. Conversations is the human way to work. They stay on your project. Conversations are made to take decisions and decisions stay on your project for everyone involved to see. You don’t have to go to every meeting to stay informed. When the conversations is over and decisions made, turn them into issues to get things done. 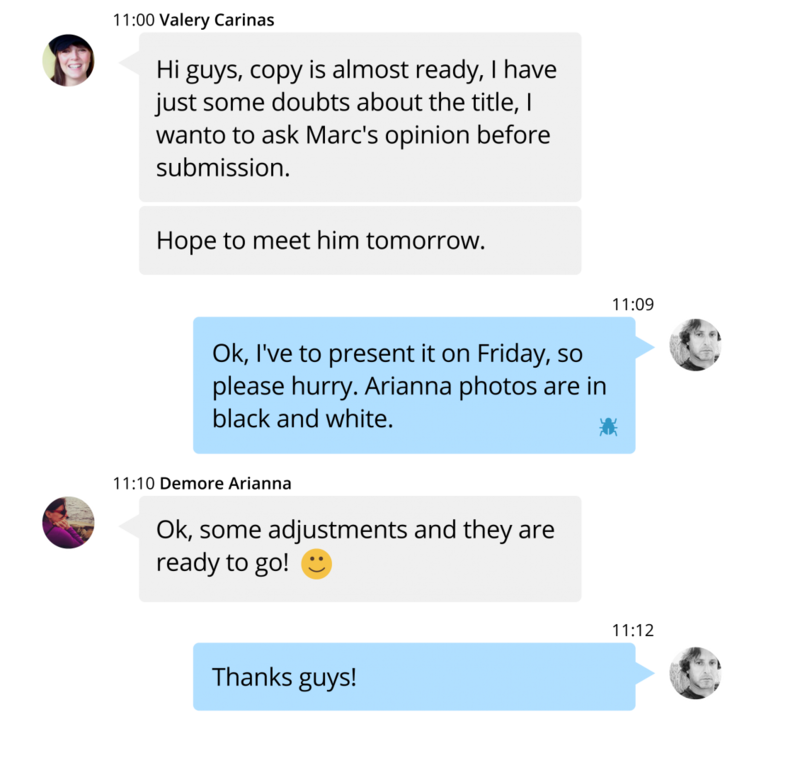 Chats can be directly connected to projects allowing you to turn decisions into things to do.